In a time where mortgage payments are high and with the housing market becoming stagnant, more and more people are choosing to add to their current home instead of moving to a new one. Maybe you too are considering moving house because of a lack of space and the need to expand. Outgrowing your property is a common problem, but moving house isn’t easy or cheap. The price of needing extra room in the house and having to move can cost homeowners up to £100,000, estate agents say. However, a loft conversion can cost significantly less and also add value onto the property. Awkward, sloping ceilings can be an issue for some lofts; however, if designed carefully, you can convert your loft into a peaceful hideaway, while making use of the valuable space at the top of your house. Get inspired by these brilliant loft conversion ideas and find out if it is the right move for you and your home. When planning your loft conversion, think about what purpose you want to use your new space for. Whether it is an extra bedroom, a place to study and work, extra living space, a playroom or even an extra bathroom; the possibilities are endless! If your loft space is on the smaller side, it could be worth considering turning it into an additional bathroom. With the added facility, you can increase functionality within the home, whilst adding value. Position your bath in the centre of sloped ceilings to make it the focal point of the room, while adding some wow factor. Adding Velux windows will allow for natural light to fill the room and also allow you to gaze up at the stars while relaxing. If you need a space to use as an office and your loft is a bit on the smaller side, then take the chance to make it into a cosy, office to retreat to after a hard days work. Or if you work from home, it can be the perfect place to escape to and get work done. Being at the top of the house, it is away from any potential distractions, with a great view to keep you motivated. If you find out your loft has more space than you thought, an additional bedroom or lounge room can add great value to your home. Design a space for you to relax as a family or a safe space for the children to play in and incorporate Velux windows for light. Loft conversions are notorious for their awkward and tricky ceiling. However you can create a bespoke, unique storage within these sloping nooks, while minimising on space used and allow for more objects within the room. Any loft conversion will become a feature in its own right. If you opt for dormer windows, consider framing that view and making it the focal point of the room. You could utilise your dormer window from anything from the opening to a balcony, a cosy reading nook or a view for your desk. Two of the most popular loft conversion types are Dormer and Velux, find out which one is most suited for your home. This is arguably the more common method for a loft conversion, as it is cheaper and easier to implement. There are no structural changes made to the house when velux windows are installed and as a result, no planning permission is required usually. Velux windows are covered by permitted development rights, making them the popular choice for millions of homeowners. This type of conversion extends out of the sloping roof and creates a lot more space and natural light, as well as head room. However, they are more expensive than the standard Velux conversion, due to the amount of structural work involved. As dormer windows ultimately change the look of the exterior of the property, it is common for this type of conversion to require planning permission. The cost for a loft conversion can range from £10,000 to £40,000, depending on where you are in the country, cost of materials used and most importantly, the size of conversion. Loft conversions take an average of 4-6 weeks to complete and they are unlikely to disrupt your everyday routine like a rear extension would. How much value do loft conversions add to a house? Loft conversions can add an average of 20% to your home’s value, without sacrificing any of your garden like rear extensions do. With a good quality loft conversion costing up to £40,000, an extra room in the roof can add great value to your home and is a huge potential selling point if you look to sell in the future. You may think your loft is too small to use as a full room or it might be too difficult to convert and make use of the space. But it isn’t impossible! To comply with the Building Regulations, your loft is required to be a minimum of 2.2 metres at the highest point. This is measured from the top of the ceiling boards to the apex of your roof. Once the conversion is completed, there must be a minimum of 2 metres standing room. 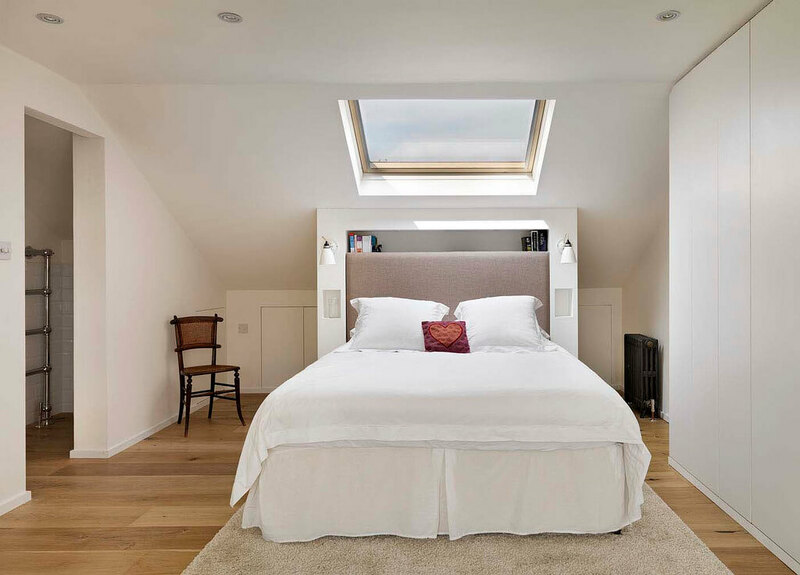 If you’re still wondering how you can get the most out of your small loft, then consider dormer windows, which will open up the loft and head room substantially. Electrics and plumbing: This can be a costly factor in your loft conversion. Electricity is something you will have to counter in regardless of what you use the room for. Insulation: Part L of the Building Regulations requires you to have a good standard of insulation as lofts are exposed to extreme temperatures. They get very hot in the summer and feel the chill in the winter. Make sure your loft is well insulated, as this will also help reduce bills. Fire regulations: Builders should be aware of current regulations which require building material to comply with the standards of resistance. As the loft conversion is a new floor, you will need to fit a smoke alarm in the room or hallway. When choosing a company for your loft conversion, remember to shop around for quotes and never settle for the first one you receive. Ask friends and family for any recommendations and remember to check online for reviews and that they are certified and registered with appropriate government schemes. If you’re interested in a rear extension, take a look at these kitchen extension ideas!